Moved by an interest for uruguayan (his home country) popular music and jazz, Alvaro began playing the electric bass, but soon turned to the double bass, starting his studies at the University School of Music of Montevideo, making contact with classical music and the basic technique of the instrument. The interest in learning and deepening his knowledge of the double bass takes him to France, where he continued his studies. Also in France, having classes with professors like Stephan Olvia or Jean-Marc Foltz, Alvaro begins developing his interest in contemporary language and free improvisation. 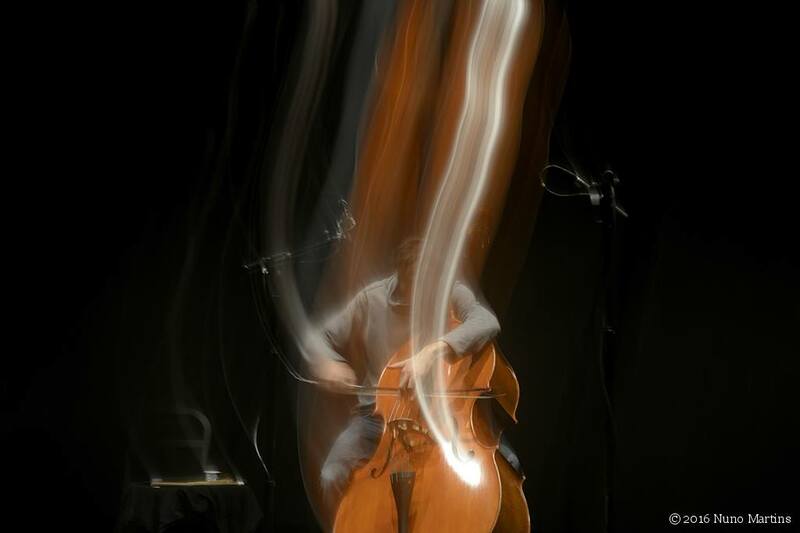 After a master’s degree in Spain focused in the double bass’ contemporary repertoire, extended techniques and experimentation, he moves to Portugal, where he currently lives and works. Alvaro is a musician with rich and diverse background and experience, who has worked with symphony orchestras, ballets and operas, as well as popular or experimental roots projects, including theater, dance or image. Today, in addition to being a teacher, he develops and collaborates with many classical orchestras in Portugal as well as several projects, especially in mainstream jazz and free improvisation / instant composition with musicians like Abdul Moimeme, Albert Cirera, Ernesto Rodrigues, Miguel Mira, Fred Lomberg-Holm, Nicola Guazzaloca, Carlos ‘Zingaro’, among others.